Aberaeron Harbour with the tide in. 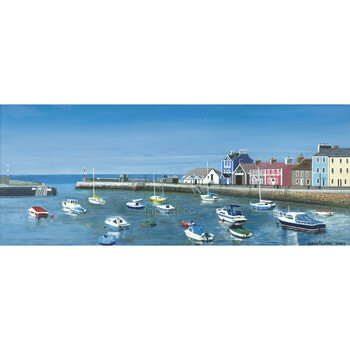 Terry has done it again with this colourful picture showing the little boats in Aberaeron. This canvas print will come signed by Terry himself and is sized 27 inches by 10 inches and the price includes p&p to anywhere in mainland UK.